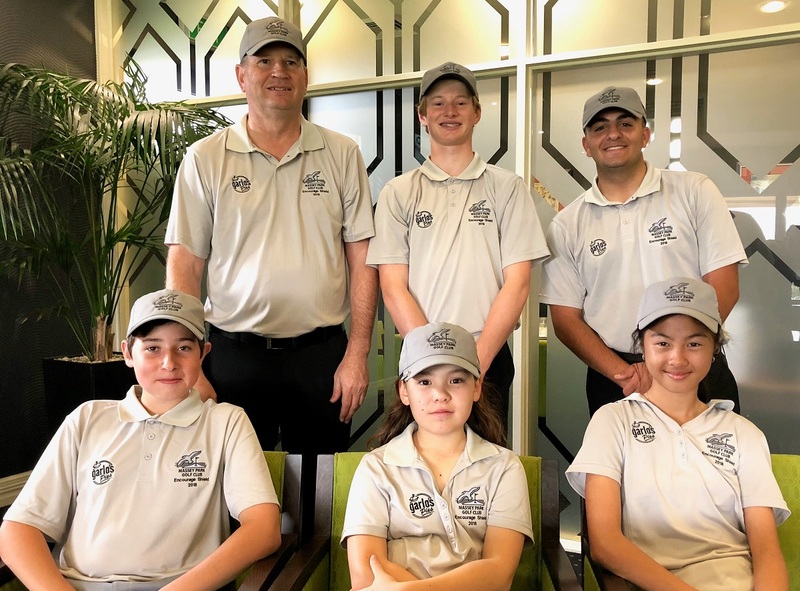 Massey Park’s Encourage Shield team travelled to Roseville Golf Club to kick off their 2018 campaign against the team from Pennant Hills. The weather wasn’t pleasant with continuous rain and windy conditions but the Massey Park kids toughed it out to prevail with a fighting 5-1 victory. Great effort in the tough conditions for these youngsters. Next round, the team will travel to Asquith Golf Club to play Asquith. Good luck to the team for the rest of the season! We would like to take this opportunity to thank Mark Flack for looking after this team and would also like to thank Sean Garlick from Garlo’s Pies for his generous support of Massey Park and sponsorship of the Encourage Shield team.